Suddenly, the shrieks of my children quieted in the background as I made fudge. The messy house faded away as my trusty mixer churned peanut butter frosting. It was a beautiful moment. And in the end, I had these cookie cups. Big ones. 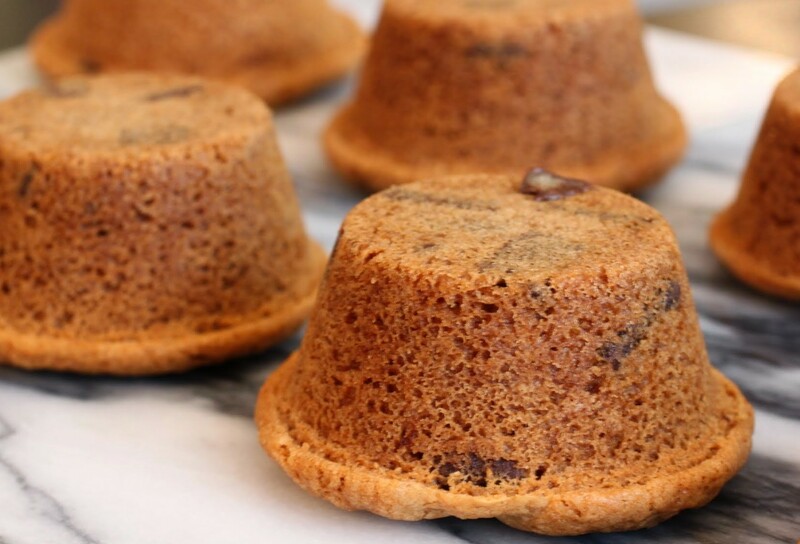 Usually cookie cups are small, made with mini-muffin tins. But I wasn’t in the mood to go mini. I wanted a regular-sized muffin tin. So here’s the breakdown of these. You ready? The bottom layer is a peanut butter cookie with chocolate chips from Nestlé’s newer frozen cookie dough, which I defrosted before baking. 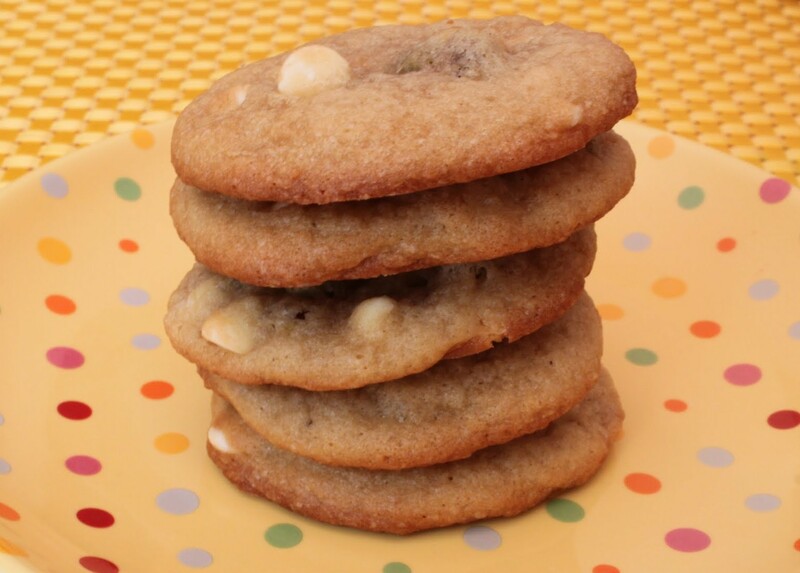 Any peanut butter cookie dough will work, but you have to bake it first. Then I made fudge and layered it on the cookie. 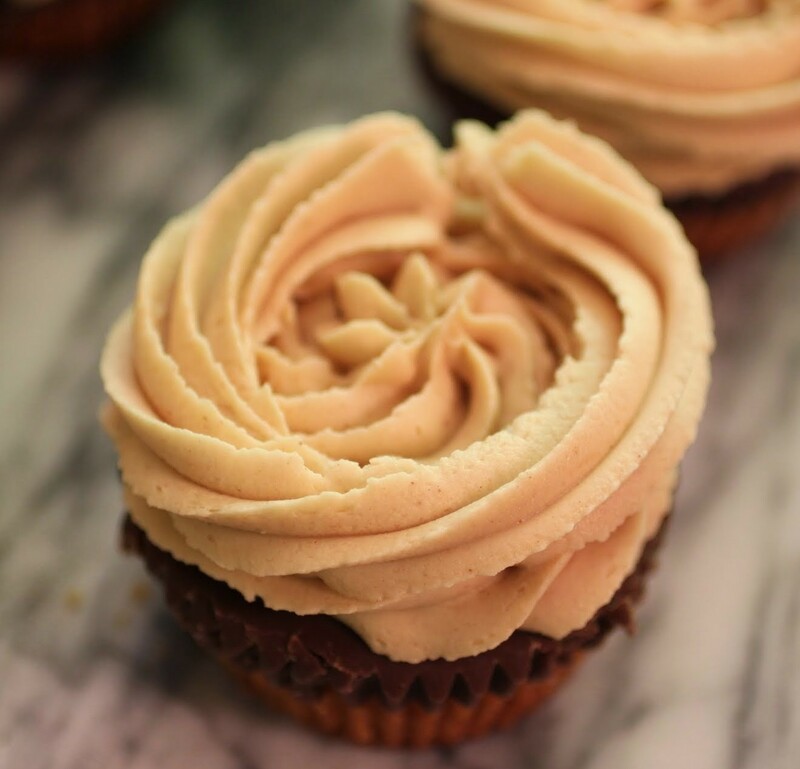 And finally, I piped on a whole lotta peanut butter frosting. A lot. This one’s a winner, in case you couldn’t tell already. It’s one thing to have frosting on top of cake. It’s an entirely different affair to have frosting on top of fudge. Nothing to hate. It’s magic. 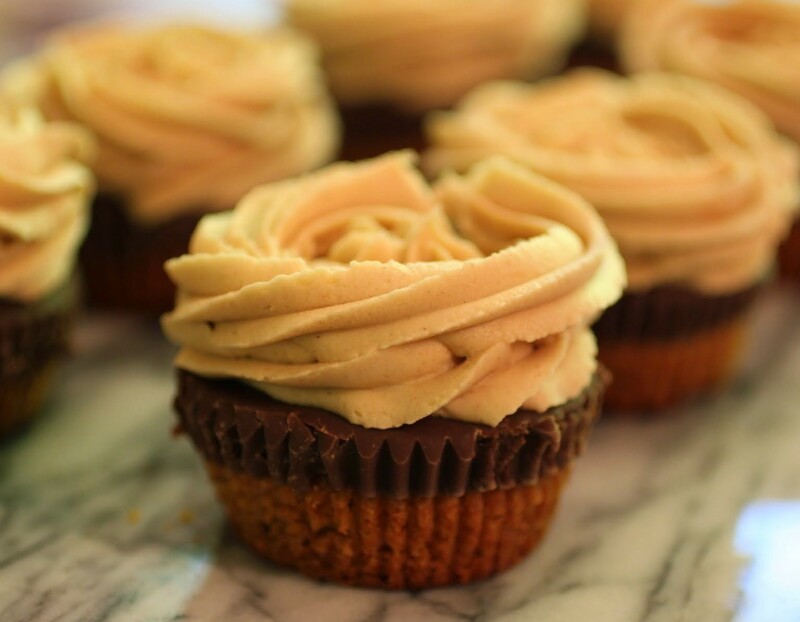 Take a break from fall-themed treats (just for today, folks) and treat yourself to some PB and chocolate! Preheat the oven to 350. Line a muffin tin with cupcake liners and spray lightly with cooking spray. Place a refrigerated cookie dough mound in each muffin space. Bake for 15-17 minutes until golden and set. While the cookies are baking, make the fudge. In a microwave-safe bowl, heat the chocolate chips and sweetened condensed milk for 2 minutes and 30 seconds. Remove the bowl from the microwave and stir the mixture until smooth. Add the vanilla and stir again. Pour the fudge mixture evenly over the baked cookies, being sure to fill each muffin liner to the top. Chill the cupcakes for 2 hours until the fudge is set. Remove the muffin tin from the refrigerator and allow to come to room temperature. Using the paddle attachment on your mixer, cream the butter and shortening with the peanut butter until light and fluffy. Add the powdered sugar and mix again. It will be thick. Pour in the milk and allow the paddle to run for about 5 minutes. 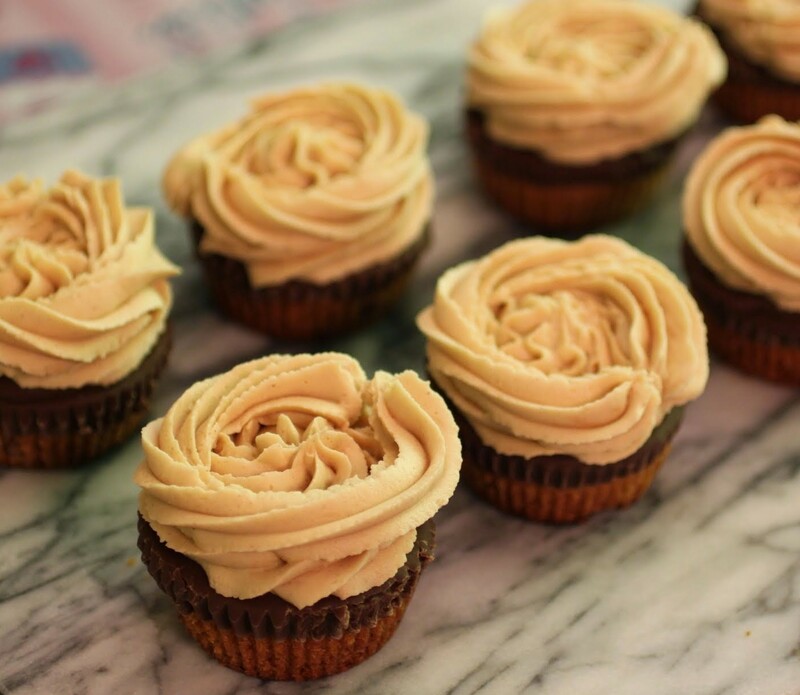 Fill a piping bag with the frosting and your chosen tip. Pipe the frosting liberally onto each cookie cup. Allow the frosting to set. Store in an airtight container. These cookie cups definitely look like they would cure my peanut butter cravings! I love the layer of fudge and the buttercream on top. And even better that you baked them in a regular sized muffin tin. More is always better in my book! Looks delicious, Mir! More is better when dessert is involved, Gayle! I think mini muffins can be kind of stingy. these look amazing and SO pretty! I love cookies, and topped with chocolate YUM!!! perfection! They were kind of irresistible, which is not always a good thing for me! But I loved them. I was missing peanut butter ! These cups look extremely delicious and I love the way you decorated them! 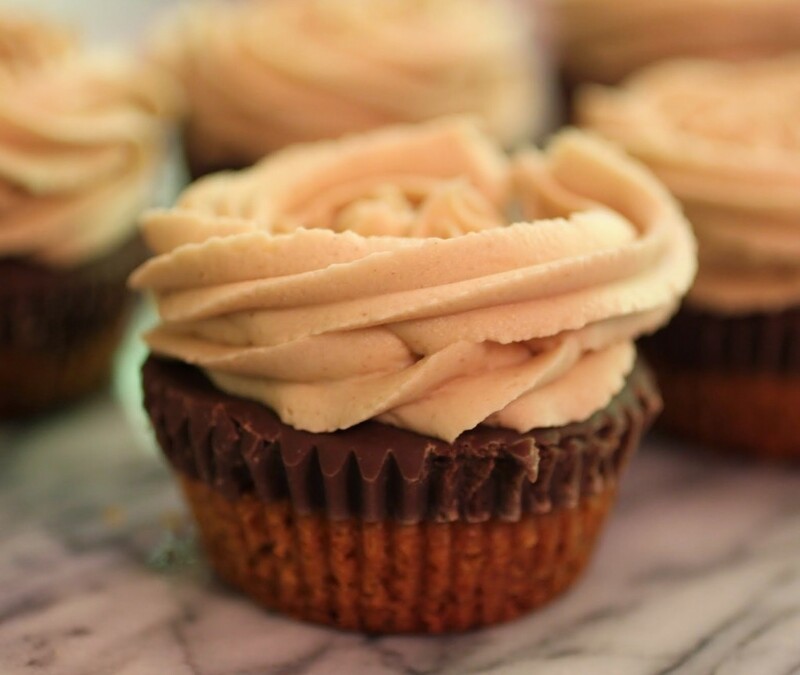 Peanut butter and chocolate are the best! That is serious! I love it! Ha! I am always very serious, Heather! Oh yum! I actually only tried peanut butter fudge for the first time a few weeks ago. But on a cupcake? Ever better! Fudge = Awesome. 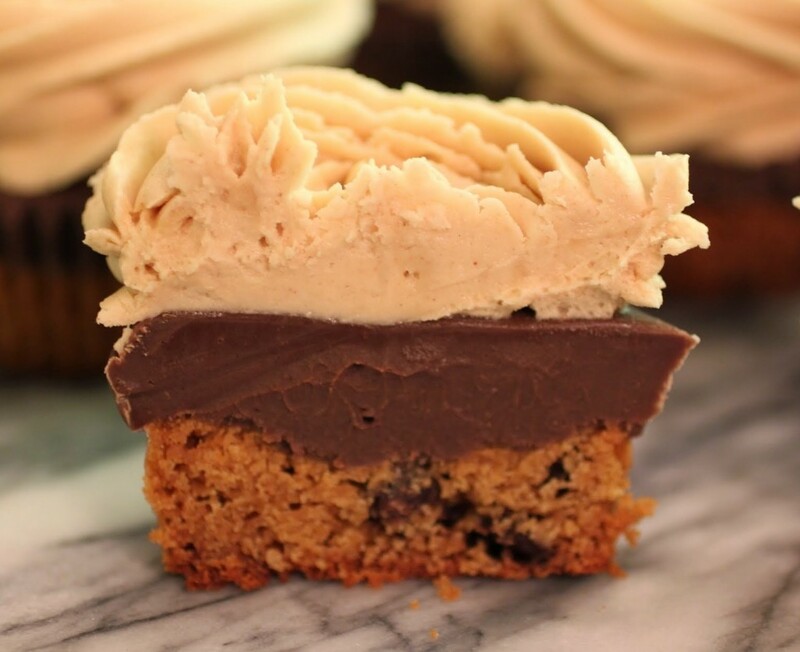 Fudge + Cookie Cups = Perfection! Thanks, Dannii! These cookie cups look absolutely lush! Cannot wait to try the recipe out, bookmarking! Thanks, Jess! They are a bit lush. But I like that! Hahaha I love the opening line! Tonight I have been CRAVING brownies! But I thought to myself: “NO, no no – it’s pumpkin season and I need to bake something pumpkin!” Then I was like, no. 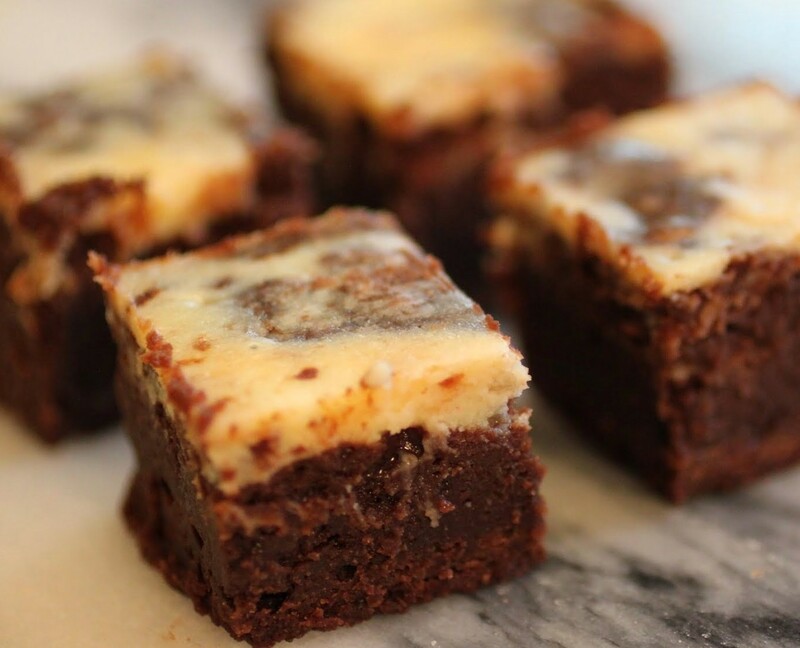 I want brownies. And I want peanut butter spread on them. These look like they would be the perfect halfway! I love the cross section – those layers are so perfect! Don’t cave into pressure, Tash! We need to keep the PB/chocolate going when the world is pumpkin! We think exactly the same way, Renee! Never too much of any of this stuff! Holy cow these look incredible! This is a peanut butter and chocolate lovers dream. Amazing, Mir! It was definitely my kind of dessert, Danielle! Heavenly. Love all the layers to these cookie cups!!! Thanks, Aimee! I had to try putting fudge in there! Ha! Thanks, Manali. I was missing it, too! Yum! Those cookie cups look amazing. I love that thick layer of fudge 🙂 Pinned! Thanks for the pin, Ashley! I can almost never resist fudge. Aw heck, I never can! Thanks, Medha! I am so happy you approve! Wowza Mir! You know how much I love my peanut butter and chocolate 🙂 These cookie cups are outrageous! I do know, Trish! I wish I could send you some! Oh my word, those are fantastic. I’m a huge fan of Reese’s peanut butter cups and these would certainly quench my craving for them. There not that well known here in the UK and can be rather pricy. This has been featured as one of my favourites over at Sweet and Savoury Sunday. Stop by, grab a button and link up again with us this week. Have a great day! Thanks for the feature, Laura! I’m so sad to learn that they mark up the cost of PB cups in the UK. What a shame!